Pick up all the stray items out of my living room and kitchen and return them to their rightful homes. Wipe down the countertop in the kitchen and mop the kitchen floor. Dust and vacuum the living room. Now that doesn’t sound too bad to me. Does it to you? 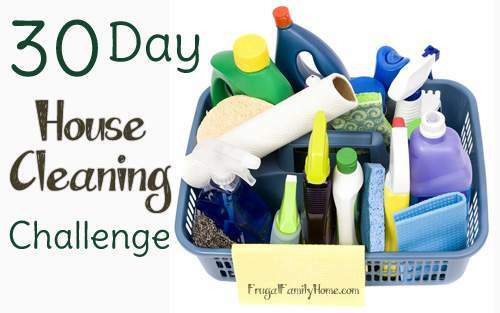 Get going on your cleaning (if you are joining in) and check back later today and I will share with you the good, the bad and the ugly pictures of how my cleaning went.